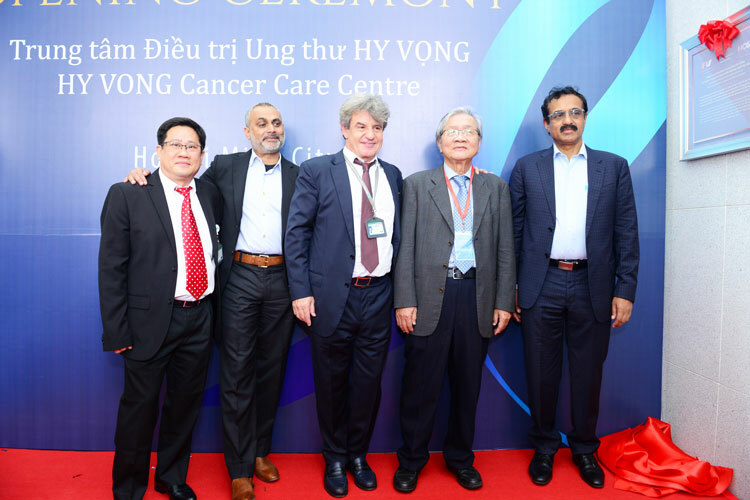 HCMC, November 15th 2018, FV Hospital introduces the New look of Hy Vong Cancer Care Centre with the investment of more than USD 5.3 million (equivalent to 120 billion VND). 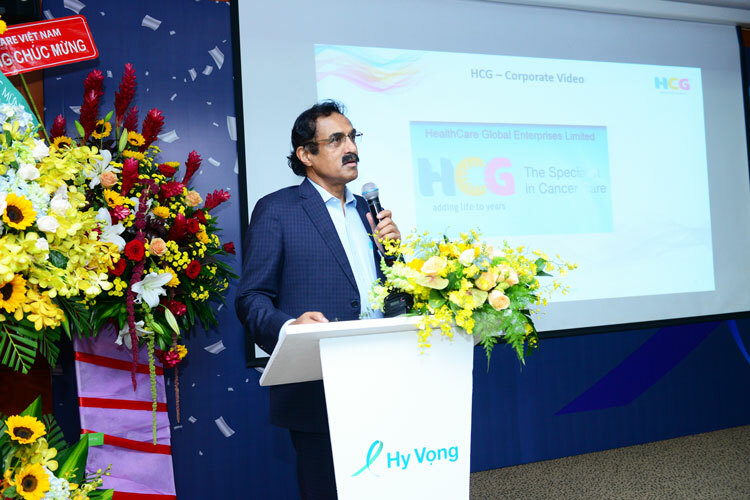 Particularly, besides the synchronous and complete investment in the scale of facilities, modern equipment and the international team of medical doctors and treatment standards, FV Hospital also announces a collaboration with HCG – the largest provider of cancer care in India with its network of more than 20 comprehensive cancer centers across India and Africa, making Hy Vong Cancer Care Centre as the leading modern cancer center in Vietnam and South-East Asia. 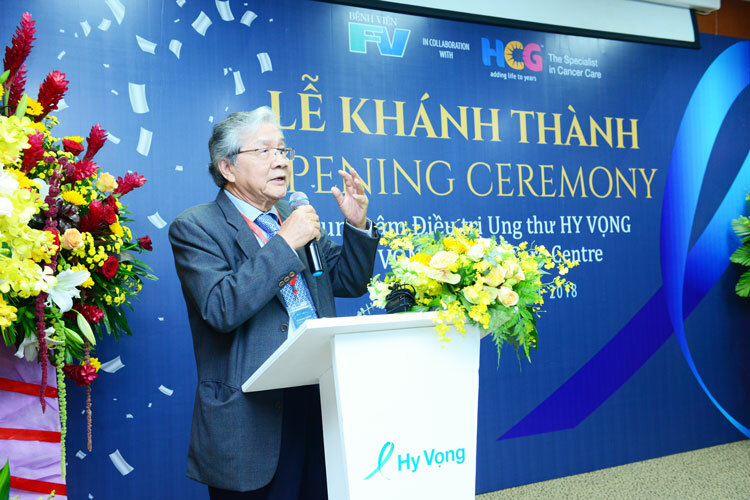 Hy Vong Centre is the cancer treatment center of FV hospital, having modern complete and comprehensive facilities and providing comprehensive diagnostic, disease identification and treatment services with highly effective palliative care at one central place. Over 15 years of operation, Hy Vong Centre has provided treatment care for about 80,000 cancer patients with high success rate with many keeping healthy after 5, 10 or even 15 years of treatment. By then, they are still to be monitored at FV until now. With the investment of more than 120 billion this time, FV invests to develop facilities, expand the accommodation to be able to receive 80-100 patients per day to be consulted directly with the treatment experts. The chemotherapy treatment area consists of 17 sets of treatment chairs and beds for up to 25 patients per day. 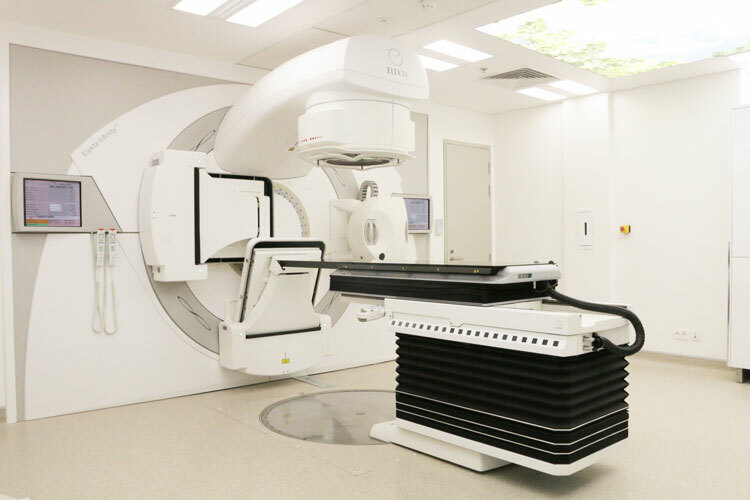 Most of this investment sum is to equip one of the most modern and advanced radiotherapy systems in the world with the aim to increase the reception a large number of patients – up to 80 patients per day – who are able to get radiation therapy at Hy Vong Centre. Comprehensive treatment including the most modern digital linear accelerator, Elekta Infinity, applying VMAT technology that allows to have accurate treatment on the tumor with optimal dosage, fast speed, harmless for the surrounding healthy tissue; the latest CT simulation – GE – accurately identifies and simulates the location and size of the tumor, too; the latest generation of spectrophotometer systems, the Spect-CT 2018, at Nuclear Medicine which yields precisely the progression and bone metastases of cancer patients. Besides comprehensive equipment and convenient facilities, Hy Vong Cancer Treatment Centre owns a comprehensive and comprehensive team including internal medicine doctors, physicians, technicians and nurses, French and Vietnamese, well trained and experienced in domestic and foreign hospitals. Dr. Basma M’Barek, a talented female doctor with passion came from France who was the youngest Dean of the Faculty at Le Raincy-Montfermeil Hospital – a big hospital and famous in the suburbs of Paris, France. Dr. Basma M’Barek has over 15 years of experience in IMRT (Radiation Therapy) and 10 years of VMAT (the same with IMRT but more accurate and efficient) – these two technologies are now being applied at the Hope Center. The deputy doctor is Dr. Vo Kim Dien, MD, with more than 15 years of experience, successful treatment of nearly ten thousand cancer cases. The Hy Vong Centre is the only place in Vietnam with a team of physics physicists trained regularly, the chief physicist is Geraldine Polge, a French. Physical engineers are the team that ensures the operation of the entire radiotherapy equipment system at the safest and most effective level, and they are also the ones who, along with the physician, conduct a dose survey for radiotherapy. 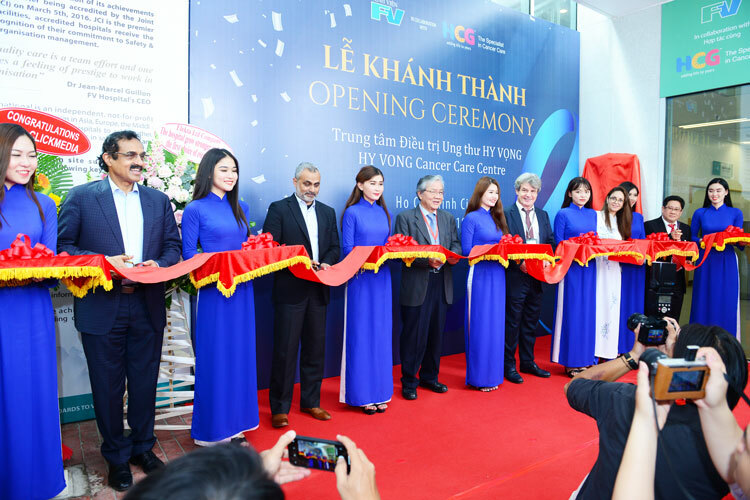 Hy Vong Centre is the FV Hospital’s cancer treatment center which is located in FV Hospital being in conjunction with other FV specialties to provide diagnostic and treatment services including surgery, radiotherapy, chemotherapy for all types of cancer at an only place. The procedure of diagnosis and treatment here is based on evidence-based medical. The treatment plan is decided through specialized multidisciplinary consultation appropriate to each patient to ensure the effectiveness and quality of the condition. Along with the treatment of cancer, the Hy Vong Centre also provides support services to reduce the side effects of treatment, maximize the therapeutic effect and make the recovery process easier such as nutrition and psychological counseling, pain management and supportive care. Behind Hy Vong Cancer Care Centre of FV Hospital is HCG, a network with more than 20 hospitals specialize in cancer care across India and Africa. HCG is the largest provider of cancer care in India, which researches and applies the most advanced diagnostic and treatment technologies in the fight against cancer that has not only saved millions of lives, but also placed an important role in changing the medical industry which benefited the patients and the medical experts in the world. HCG has led the march against cancer with the achievements such as having performed Asia’s first bloodless bone marrow transplant and introducing high intensity flattening filter-free mode radiotherapy, stereotactic radiosurgery and robotic radiosurgery for cancer treatment in India. Vietnam has a high incidence of cancer. The comprehensive professional cooperation between FV and HCG has brought many opportunities for FV. FV will be the first hospital in Vietnam to utilize the experience of HCG through the transfer of therapeutic technology, the training of the medical staff, and the use of the HCG laboratory for quickly biopsy results. FV doctors and HCG specialists hold a weekly consultation to find the optimal treatment for cancer patients, especially the hard case… With this opportunity of cooperation, FV further affirms the value, prestige and quality of cancer treatment to become the leading healthcare provider in Vietnam, helps to improve the access to the services and high quality of cancer treatment in Vietnam and neighboring regions, too. 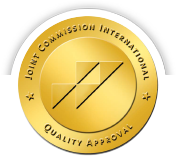 Cooperation with FV, a JCI Accredited Hospital, is the important milestone of HCG when they are marking their very first step to enter Vietnamese market through transference and comprehensive cooperation of resources such as expertise, technology and technical equipment. 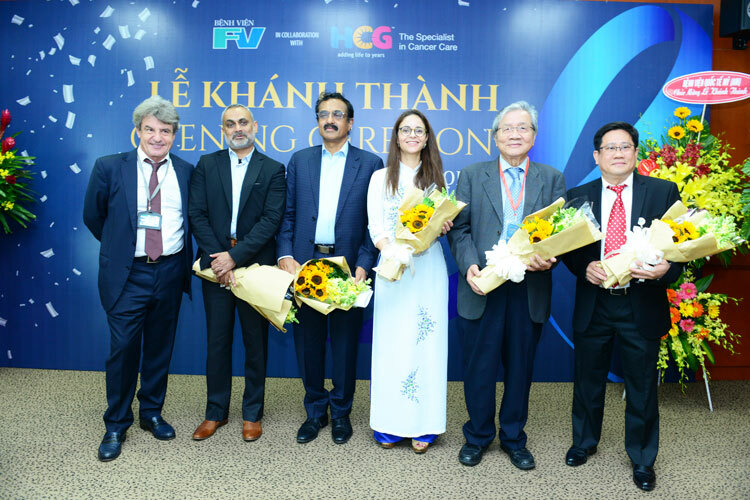 HCG is going to be FV’s partner in the road to make Hy Vong Cancer Care Centre as the leading modern cancer center in Vietnam and South-East Asia.